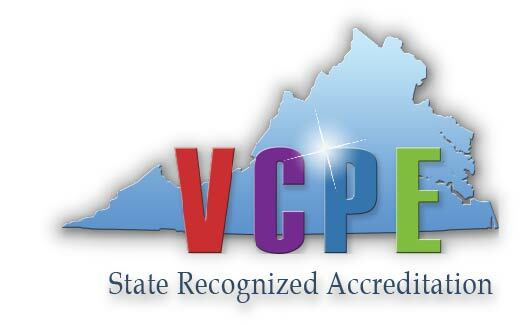 The Early Learning Center is licensed by the State of Virginia and meets the comprehensive standards set forth by Virginia’s Foundation Blocks for Early Learning. The standards are essential to prepare children for Kindergarten and to build a strong foundation for children’s success in school. Our center is also a participant in Virginia Quality and Smart Beginnings, a state program committed to early childhood development and education. The philosophy of the Early Learning Center is to provide a rich environment of experiences for young children in which they can explore, discover, and function in an atmosphere of freedom, flexibility, and acceptance. Our main goal is to provide a safe, secure and nurturing environment that will allow children to have fun while learning. We offer a Preschool Program for three and four-year-old children, and a Pre-Kindergarten Program for four and five-year-old children. The Early Learning Center programs provide children with foundations for learning with opportunities for choice, experimentation, creativity, and problem-solving. Learning centers are used to encourage independence, responsibility, and exploration and promote self-esteem and self-worth. Students are provided opportunities to develop social relationships, develop a concept of individual worth, and independence. It is our belief that children need hands-on experiences and get-on-the-floor teachers, warmth and attention, enthusiasm and encouragement. Active curiosity and enthusiasm for learning are encouraged and students are given opportunities to be expressive and creative in developing cognitive skills. Teachers balance the informal and social experiences with the challenging intellectual experiences in the classes. The Early Learning Center also includes a Before & After School Program that opens at 7:00 a.m. and closes at 6:00 p.m. for the convenience of working parents who may need those services. For more information on our programs, please call the school at 434-848-2220 and request an information packet and/or schedule a visit.